Heads up Target REDcard holders! 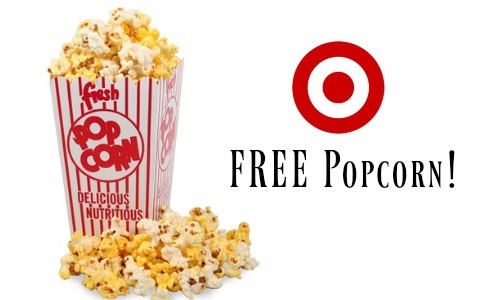 Mark your calendar because Target is giving away a FREE small, regular popcorn at stores with a Target Cafe from 7/22-7/31. There is a limit one per trip, per REDcard holder. You only need to show your REDcard to get this deal. If you’re not already a cardholder, you can sign up for FREE! Enjoy perks like an extra 5% off, extra 30 days for returns, FREE Shipping and more.